The following information applies to Fantomen magazine, published fortnightly in Sweden by Egmont Scandinavia. 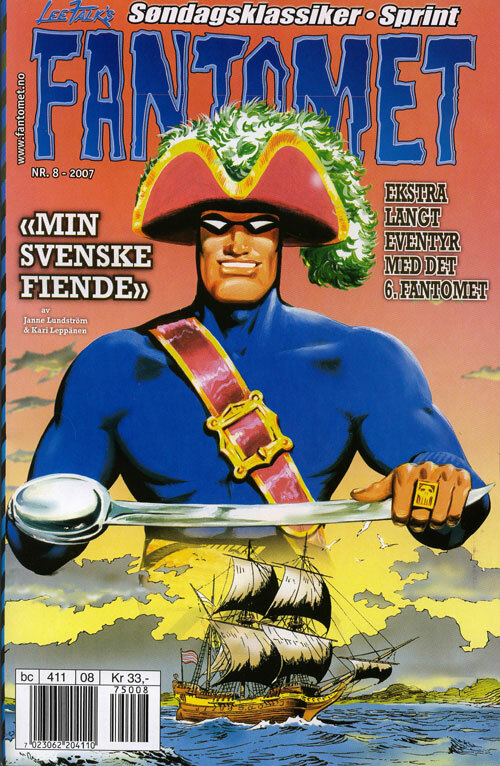 Egmont also publish Fantomet in Norway and Mustanaamio in Finland, with very similar formats. The content list in Norway and Finland differs slightly, e.g. 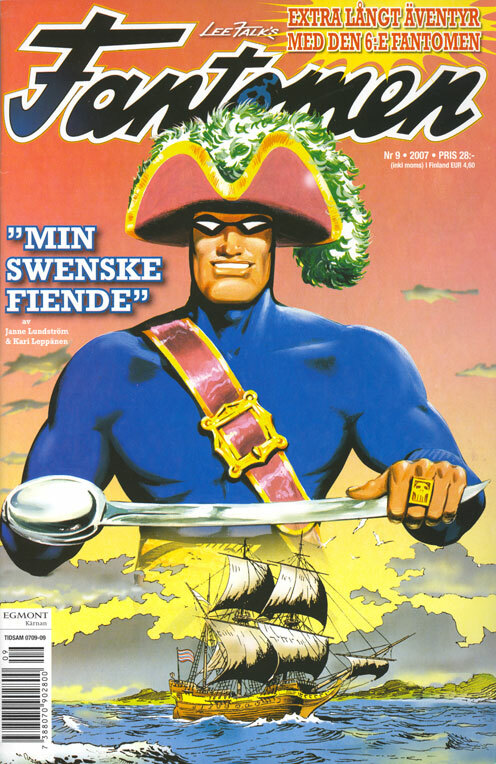 Viggo appears on the inside cover in Norway, and the Phantom Club pages are not in Mustanaamio . The issue number for Fantomet is now one less than that of Fantomen and Mustanaamio . The Phantom stories created by Egmont's team of writers and artists are subsequently translated into English and reprinted by Frew Publications (Australia). My thanks to Ulf Granberg and Simon Treschow for providing scans and content information.